Waiting on Wednesday is a weekly meme that is hosted by Jill at Breaking the Spine and spotlights upcoming releases that we’re eagerly anticipating. What if you knew exactly when you would die? In the not-too-distant future, genetic engineering has turned every newborn into a ticking time bomb—males only live to age 25 and females only live to age 20. In this bleak landscape, young girls are kidnapped and forced into polygamous marriages to keep the population from dying out. 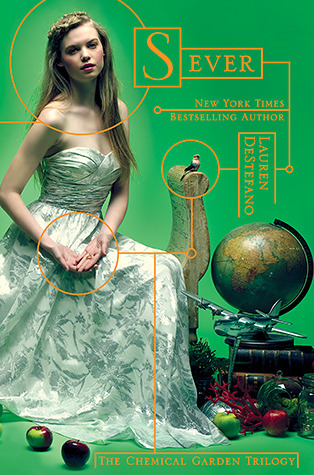 When 16-year-old Rhine Ellery is taken by “the Gatherers” to become a bride, she enters a world of wealth and privilege. Rhine has only one purpose after she has been married to her new husband, Linden: to escape and find her twin brother. I know that I finished Fever just this week, but I’m really itching for the next book in the series to come out! The cover could be just that little bit better, but still I can’t wait! That release date is just mean, I want the book now; I can’t wait until February! What are you waiting on this week? Leave me a link!